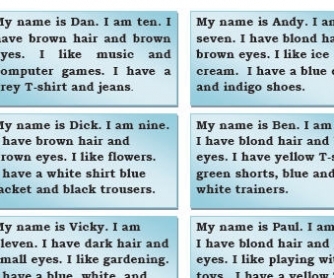 Flashcards with children for describing people. 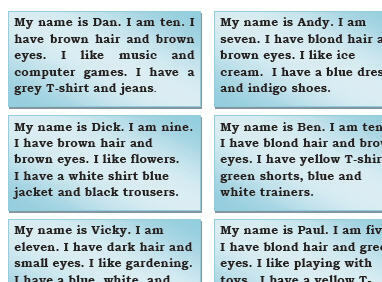 There are 12 colourful flashcards with 12 descriptions which can be used for activities with children. They can describe colours of clothes, hair, eyes and some body parts etc. It’s a good speaking activity and practice of verb "have/has got".This set of pictures is great for all sorts of games.